The primary school is located on the border between the settlement of Ursy and the open landscape. 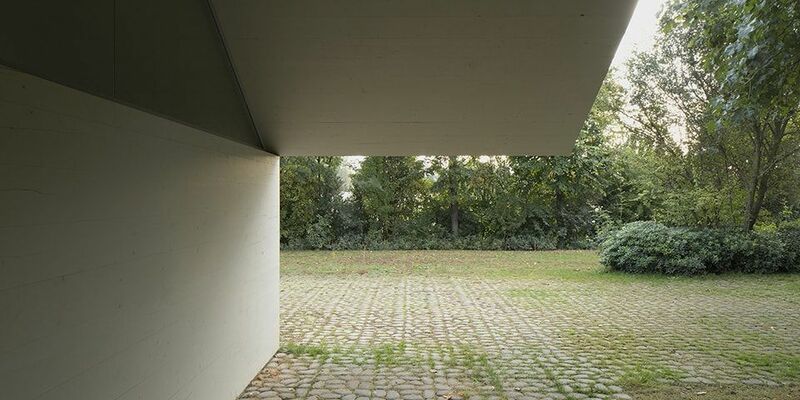 The building defines two exterior spaces on different levels: a hard flooring court and a garden. We have dissolved the unit of the classroom into basic architectural elements such as the wall, the beam and the floor in order to connect the school with the environment. Walls and beams are stacked crosswise on top of each other and extend beyond the boundary of each classroom. 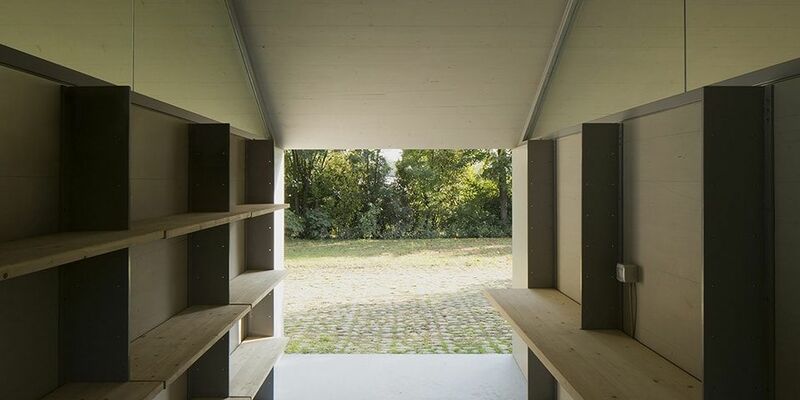 In this way each space expands in all the four directions and allows a simultaneous perception of different scales: the adjacent room, the whole building, the exterior environment and the landscape. This continuous space creates a smooth environment for the activities of the school. 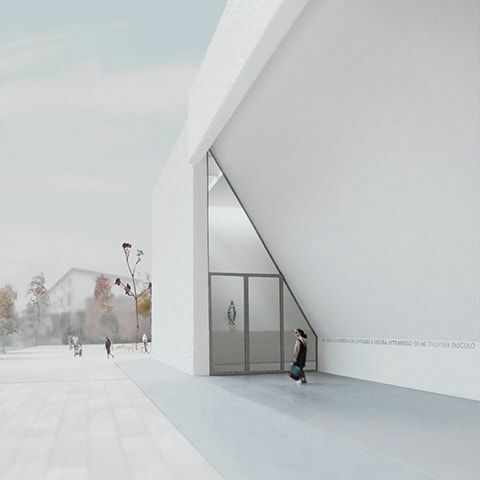 The church is a freestanding building in the urban context of Pegognaga and is settled on a square floor plan that avoids a strong directionality.  The liturgical hall is surrounded and defined by four lateral spaces, which open towards the context. The portico faces the city, the chapel faces the garden, the utility space faces the access street and the youth room faces the park. 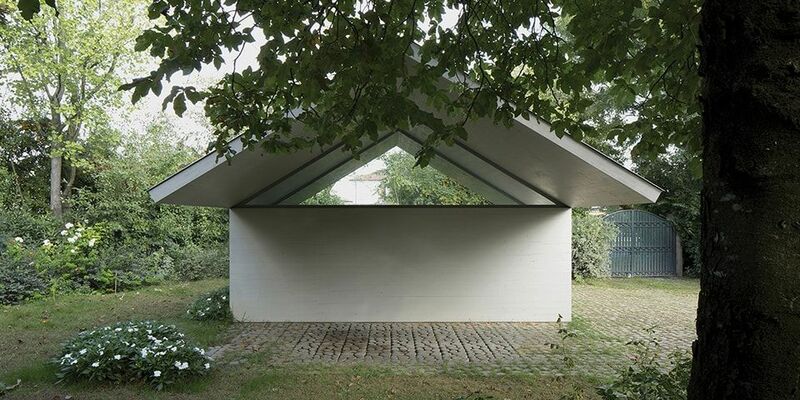 In this way, the existence of the exterior environment can be sensed when inside, blurring the boundaries between the church and the urban context. 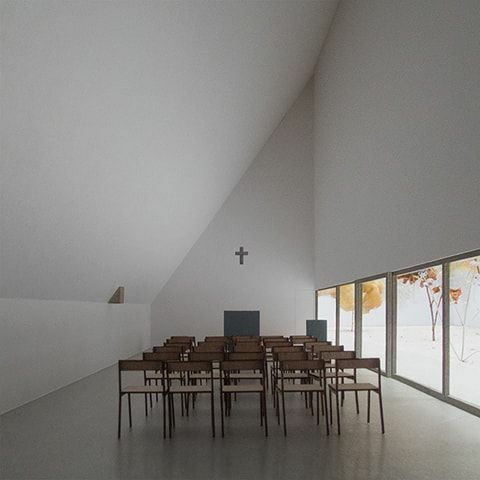 The liturgical hall features both the “finite“ and “infinite” space through the lower straight walls and the higher inclined walls; during the celebration, it is possible to experience the transition between these two spaces while sitting and standing. 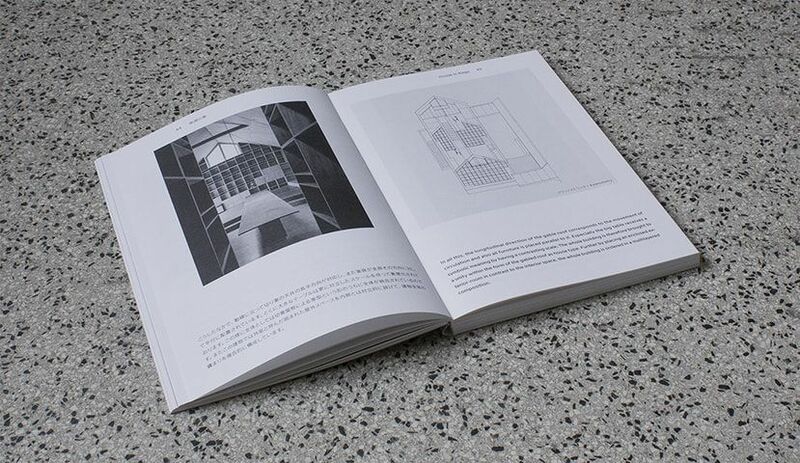 This publication arises from a lecture that Kazunari Sakamoto held at the Accademia di Architettura di Mendrisio in December 2013. With the intention to present the content in its original form, we transcribed the lecture in this book. 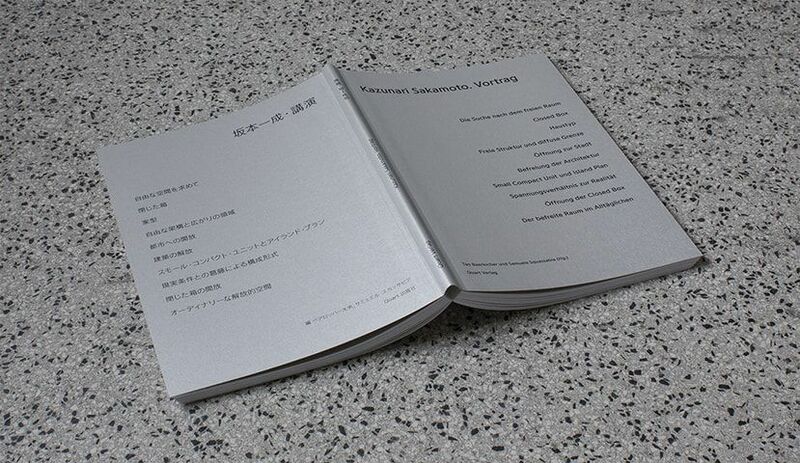 Sakamoto opened a discourse concerning the question of a new relationship between architecture and reality, which is not yet concluded. We believe that this question is of great importance in today’s discussion. Throughout his work, he explores how architecture can include reality and yet be released from its restrictions at the same time. 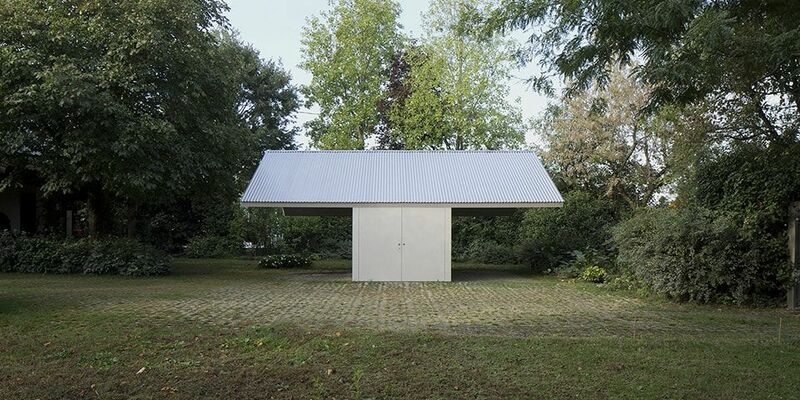 Within the fragmentation of our world, he strives to establish new connections, showing a possibility for an evolution in which architecture will avoid isolation and achieve autonomy. 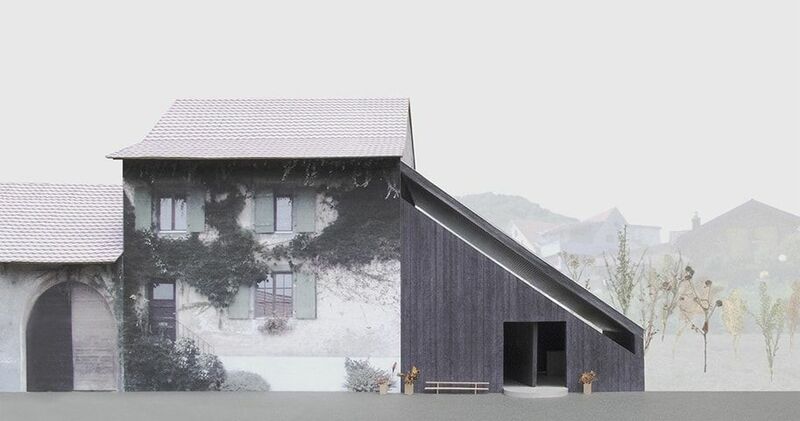 This is a renovation of an old barn located in the village of Nuglar, which will host a café, an atelier and an exhibition space. We have maintained the external volume and modified both the interior space and the expression according to the new program – from a functional to a semi-public building. 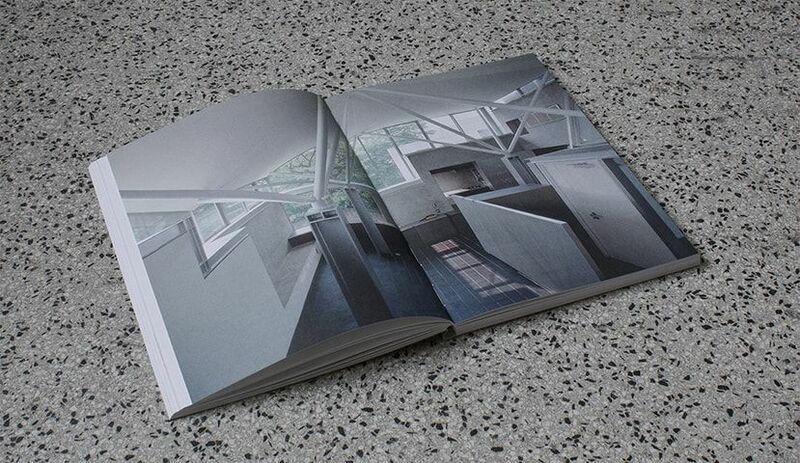 We have created three new spaces with identical surface and yet different qualities. 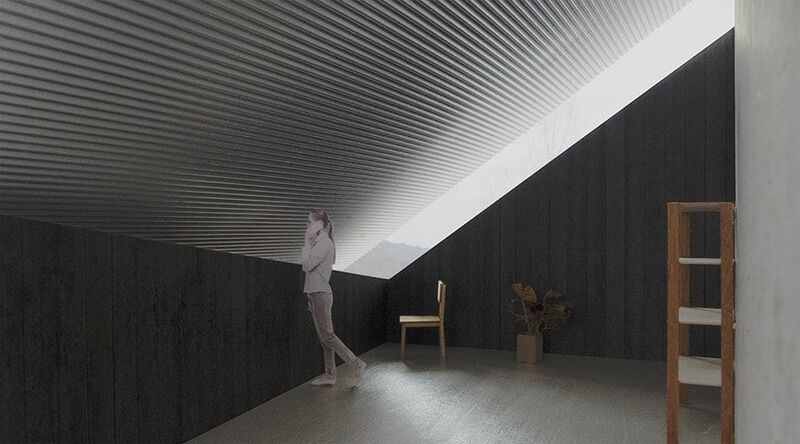 In fact, the long diagonal strip window together with the tilted wall relates to the hilly landscape of the region and connects each space with the heterogeneous external environment. 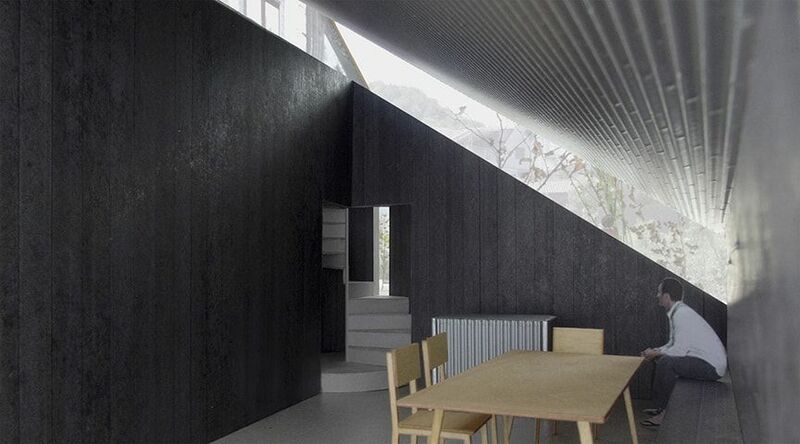 The treatment of the inner walls and ceiling as exterior surfaces conveys the impression of being inside and yet outside, re-establishing the airiness of the old barn. The primary school is located within a fragmented school campus and defines the border between the school courtyard and the adjacent park. The curved building encloses the courtyard and expands towards the park. 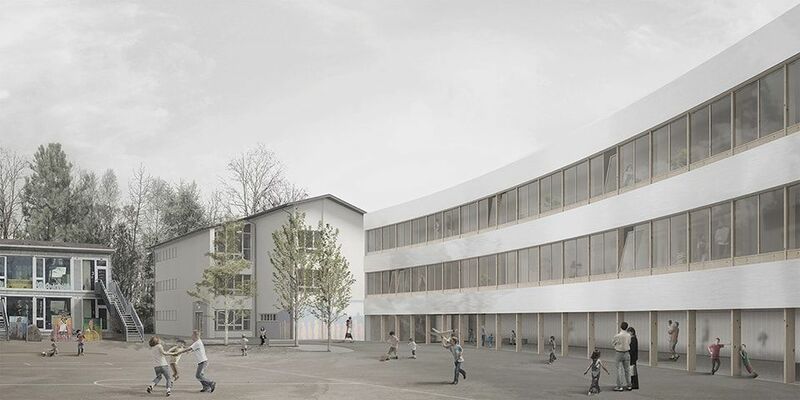 The new school adopts the existing typology of the surrounding buildings, however through the curve it produces a new impact. 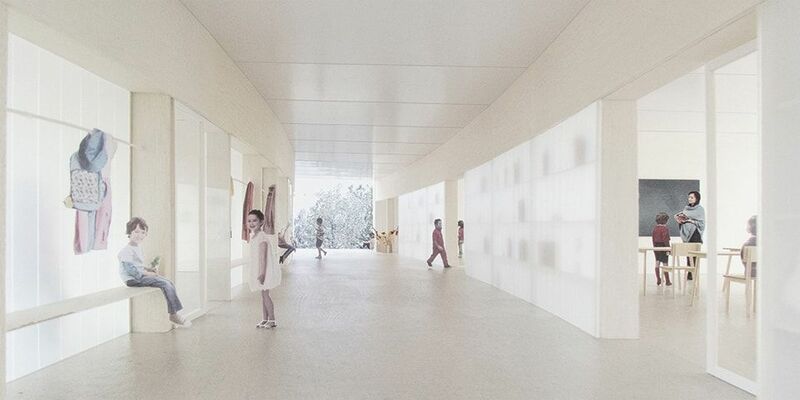 The internal corridor connects the surrounding environments and allows the perception of the campus as a whole. The structural pitch of the filigree wooden column -of approx. two metres- integrates the scale of the furniture allowing to physically perceive the scale of the campus. 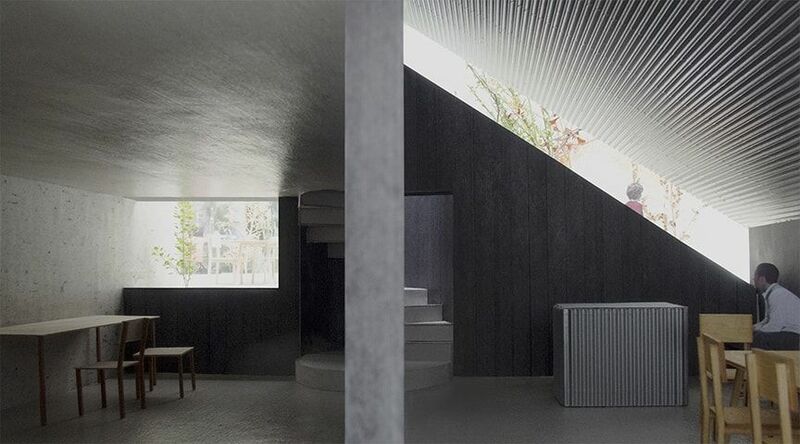 The small building – located in the garden of a semi-detached house – hosts two parking lots and a workshop. 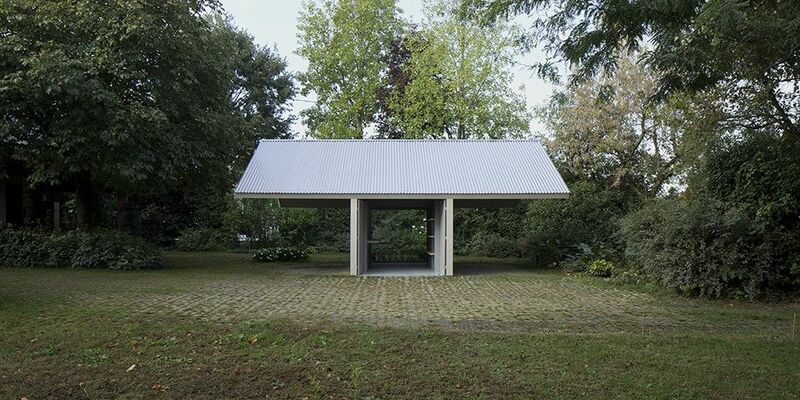 It is composed of four large massive wooden panels, which contrast in size with the small scale of the building.  They relate to the scale of the surrounding nature and trees. 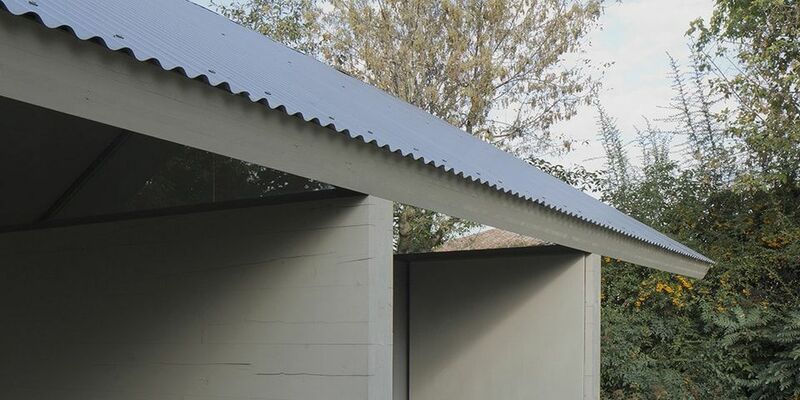 The gabled roof is stacked crosswise on top of the walls with the minimum surface of contact – only one point. 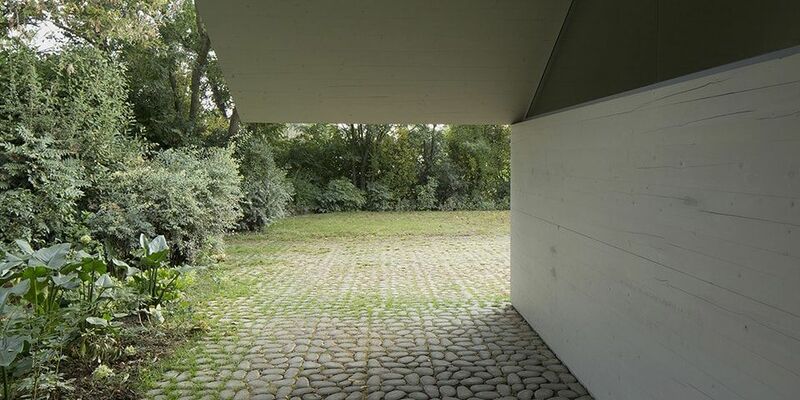 This composition avoids the enclosed space and allows the continuity of the garden to be perceived in all directions.  Despite its presence, the building doesn't divide the plot, it rather becomes a device to connect with the neighboring environment. The thin metal pillars inside the workshop stiffen the structure; however they are perceived as furniture due to their proportions.